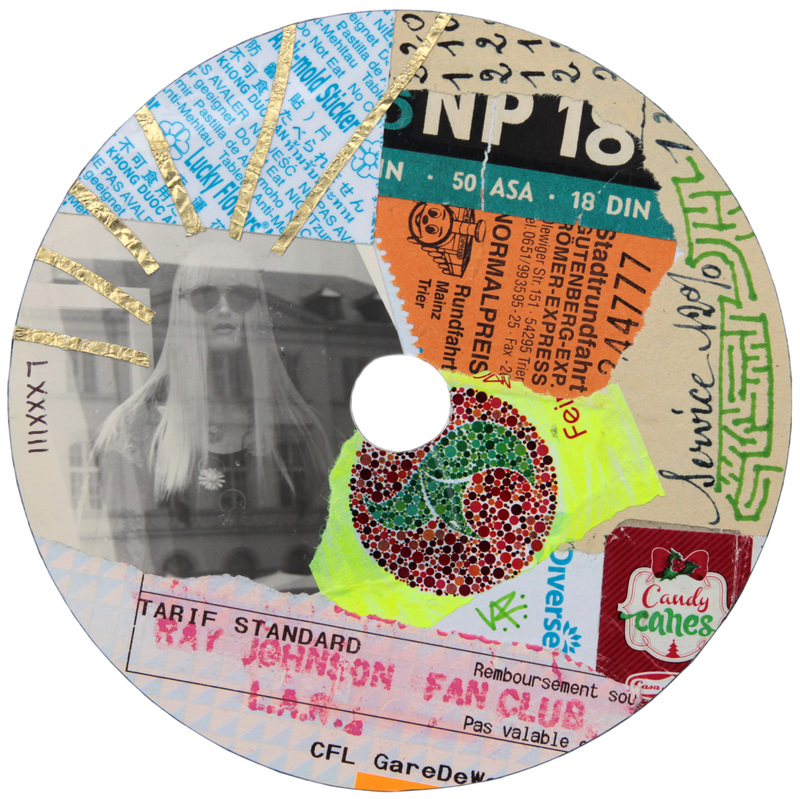 This 83rd “relationship collage” was completed 7/9/2014 using trash from the streets on a used DVD. 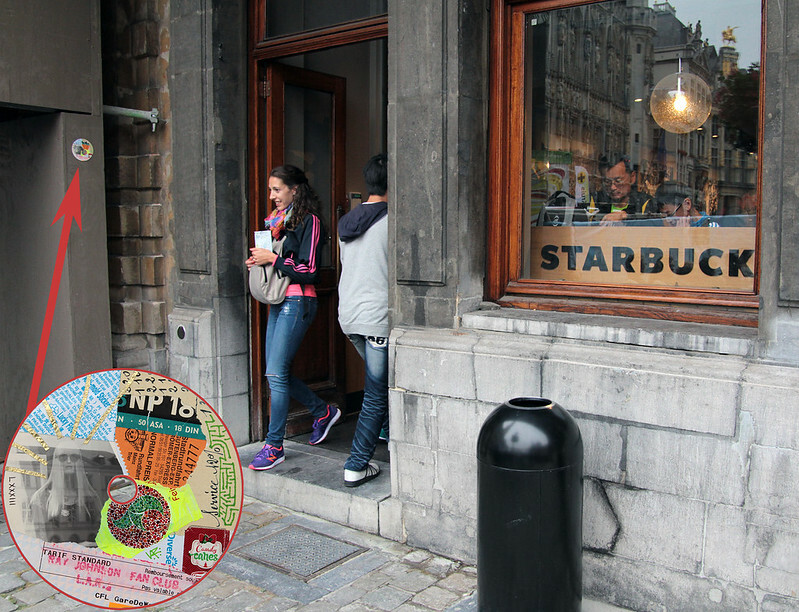 It was left 7/11/2014 on a wooden construction wall just outside the new Starbucks in the Grand Place of Brussels, Belgium. Ray Johnson Fan Club Relationship LXVII ~ “Terrible Experience” My 67th Collage Relationship was completed 6/21/2013 while sitting at “Le temps d’un café” in Mons, Belgium. It was sent later that week to a fan in New York along with some stickers. This is the first time I’ve tried it and I’m happy with the results so maybe I’ll try working on old records too.